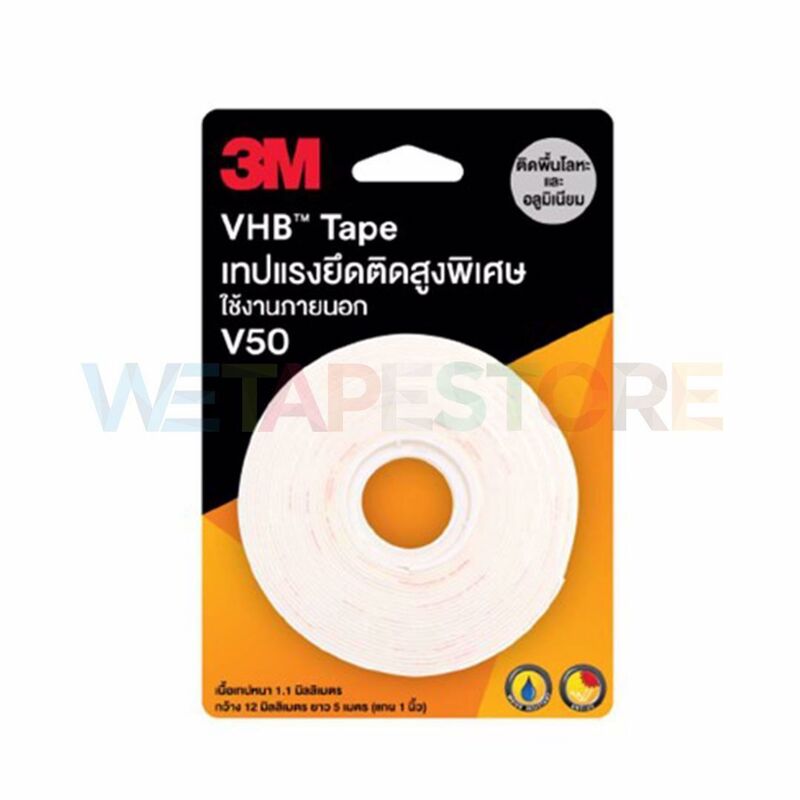 V50 VHB Tape is an external tape Suitable for sticking plastic surfaces with oiliness. The thickness of the tape is 1.1 mm. 2. Use a dry cloth to wipe the surface completely dry. 3. Attach the tape and press the tape in the same direction to expel the air bubbles and allow the tape to stick firmly on the surface. 4. Bring the material to be attached. Stick on the tape and press again 2-3 times and leave it at least 24 hours before use. There are 2 sizes to choose from.